Chelsea Manning is asking a court to formally change her name. The petition was announced on Wednesday by the Private Manning Support Network, which also said it is changing its name to the Chelsea Manning Support Network. A hearing on the request has been scheduled for April 23 in Fort Leavenworth, where Manning is currently serving a 35-year sentence. Manning declared in August that she wanted to be treated as a woman while incarcerated and that she would, if necessary, go to court for the right to obtain hormone treatment. Military prisons don't provide treatment issues related to gender assignment, because transgender soldiers are not allowed to serve. A hearing on the name change is scheduled for April 23. 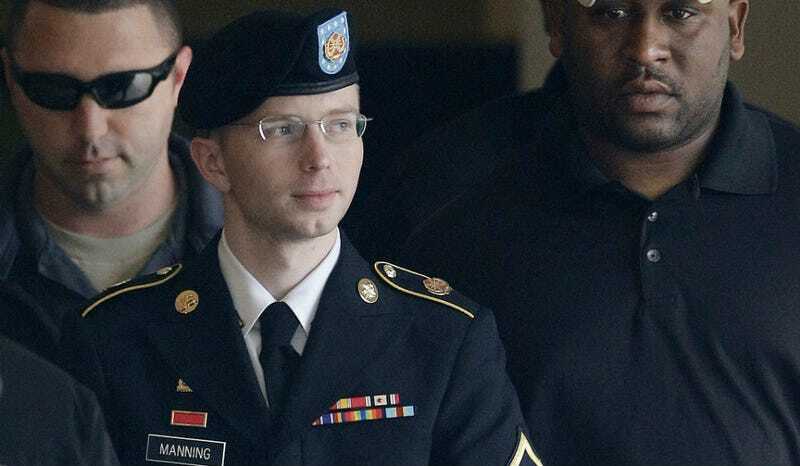 Manning is currently serving a 35 year sentence for leaking classified documents to Wikileaks.